Centipedes and Millipedes are not insects because they have more than six legs, but are closely related invertebrates. When outdoors, centipedes and millipedes are harmless organisms, but are often considered pests. Both of these groups of invertebrates have long, segmented bodies with either one pair (centipedes) or two pairs (millipedes) of legs on each segment. Their food preferences vary greatly. Centipedes actually have the ability to bite, and are poisonous, but is not necessarily dangerous to humans. The poison from their fangs, located behind the head, is used to kill insects, which are their primary food. To a human, a centipede's bite feels like a bee sting and can be dangerous to humans if there is an allergic reaction in response to the bite. Children will be more sensitive to a centipede's bite. Centipedes inhabit damp and dark places and are usually found outside under stones, boards, or sticks or beneath moist leaf litter and other organic matter. When disturbed, centipedes move swiftly toward darkened hiding places. 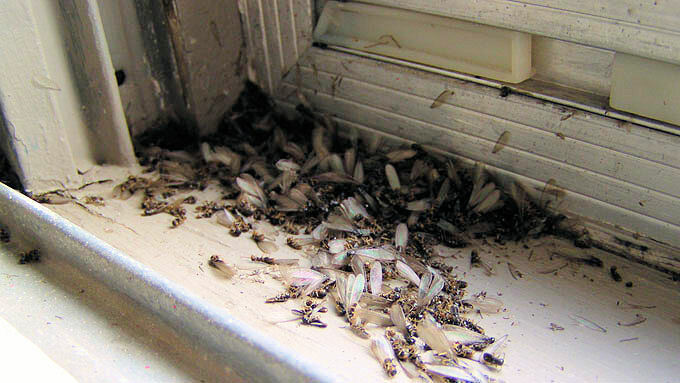 When they are found in homes, they are often found in moist basements, damp closets and in bathrooms. Centipedes require moist habitats. If they are plentiful, there may be an underlying moisture problem that should be corrected. The house centipede is found throughout the United States with the largest species of centipedes inhabiting the southern region of the United States. They can grow up to six inches in length. A centipede can be easily distinguished from a millipede because it has fewer legs; specifically, one set for every segment of its body. Controlling a household centipede infestation can occur when other household pest problems are controlled. Millipedes are similar to centipedes, but with two pairs of legs per body segment. They are mistakenly referred to as "wireworms," which are the larval stage of a beetle that feeds on roots of plants. Millipedes are usually brown to blackish in color. The elongated body is rounded, not flattened and they have no poison claws or legs. They usually coil up when disturbed, similar to the behavior exhibited by sowbugs or pillbugs (a related invertebrate). Millipedes are not poisonous and do not have fangs, they will curl into a tight coil to protect their legs. They can also emit poisonous liquid secretions or hydrogen cyanide gas through microscopic pores called "odoriferous glnads" as a secondary defense mechanism. These substances can burn an ants exoskeleton and other insects, as well as the skin and eyes of larger predators. Some varieties of millipedes can actually spray this caustic fluid several inches and can irritate the skin in some people and should be removed right away. Millipedes feed on decaying plant matter and sometimes living plant roots, usually in moist places. They can damage these roots if there is an infestation of the pests in the soil. Some species of the insect are known to be especially bothersome to greenhouse plants. If this occurs, you may need to contact a pest control agency like Top Quality Exterminating to eliminate your millipede infestation. During autumn, they may become a household nuisance because they migrate away from feeding areas and can invade homes. 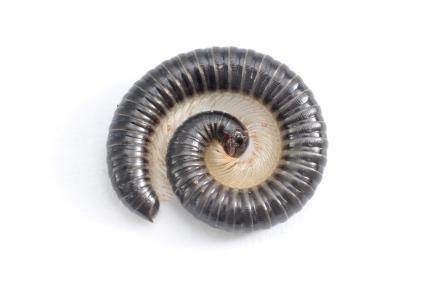 Millipedes are usually found in lower floors and basements when they crawl inside and will usually die from desiccation or extreme dryness, although in a moist basement they may survive for a longer period of time. Ensuring that millipedes do not enter your home can be difficult but removing mulch, dead vegetation and other decaying plant matter adjacent to your house. Treating your home's perimeter with an insecticide such as Baygon®, Ficam® or Sevin®, which are Carbamate insecticides and are recommended to control a potential millipede infestation in your home. These insecticides are recommended for outside control of millipedes because they are fast-acting. It is highly recommended that people and pets stay off wet insecticides, but can safely walk around the yard once the insecticide is dry. Insecticides will not stop all of the millipedes from entering a home, but will help reduce the number of millipedes you find. Treat indoor damp hiding places with indoor insecticides designed for indoor use. It is essential to read and follow label directions when using any insecticides. Ensuring your health and safety is our top priority and our technicians follow a strict set of guidelines, using products that are registered and approved by the Environmental Protection Association (EPA). 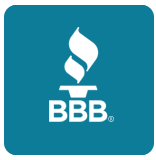 Top Quality Exterminating technicians are registered and licensed with New York State and participate in continuing education programs.